About 1.5" wide by 2" tall. 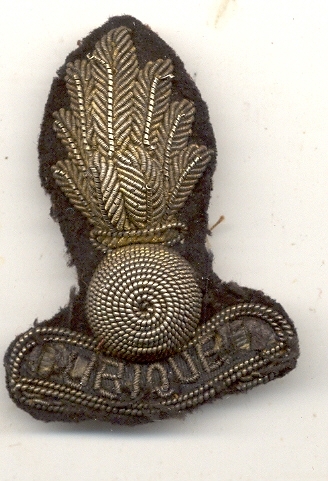 Was removed from a uniform by the previous owner. 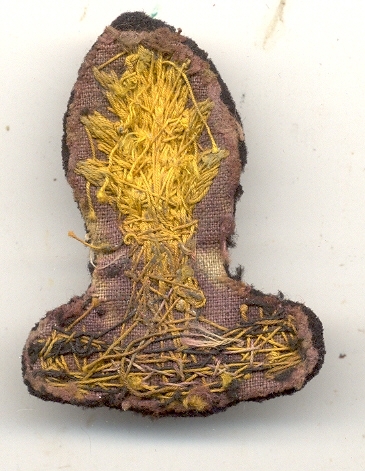 Frayed stitching. The bullion is in fair condition, with some loose ends and the letters are partially missing.